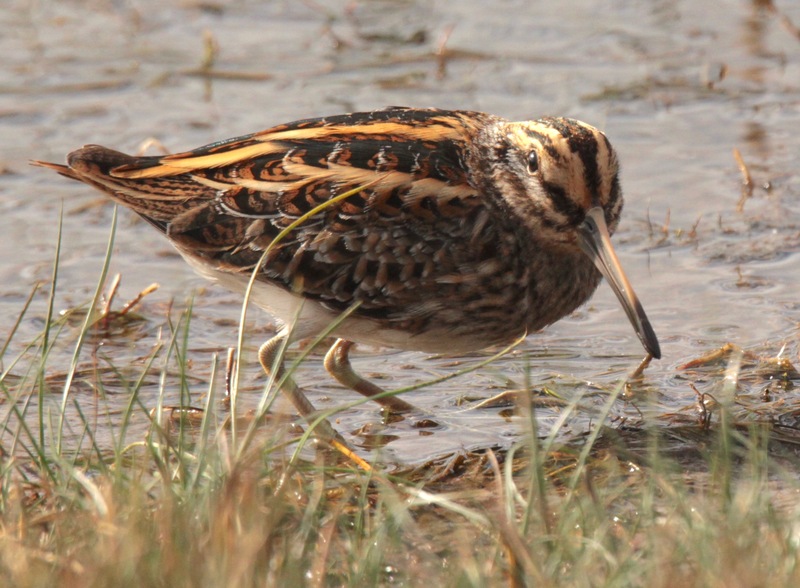 Jack Snipe- Usually secretive birds, the smallest of the Snipe family, these newly arrived migrant Jack Snipe were, unusuall,y feeding for hours in the open near a hide at Kilnsea, Spurn Point. 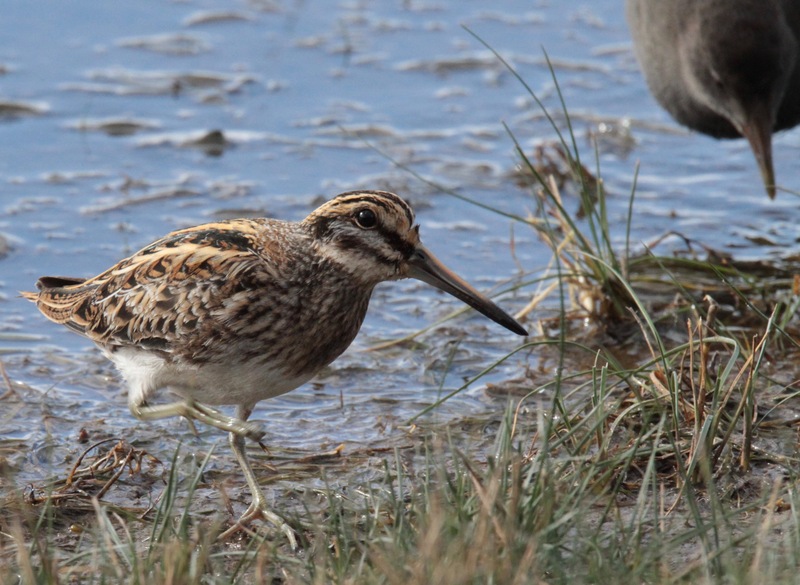 Apparently, keen twitchers describe such unusually visible behaviour as being ‘very confiding’! They ‘bounce’ -continuously- as they feed. Beautiful to watch and superbly camouflaged, they have distinctive cream and deep greenish-blue metallic stripes down their backs. 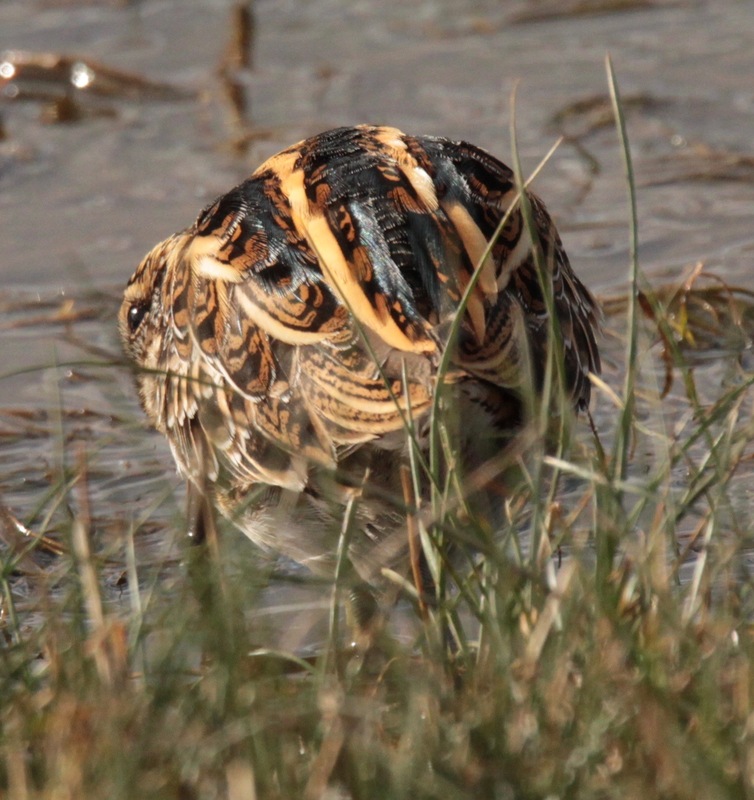 You may be lucky and get glimpses more locally at places like Old Moor. Conditions: Showers and sun. Temperature: Max 10- Min 7c. 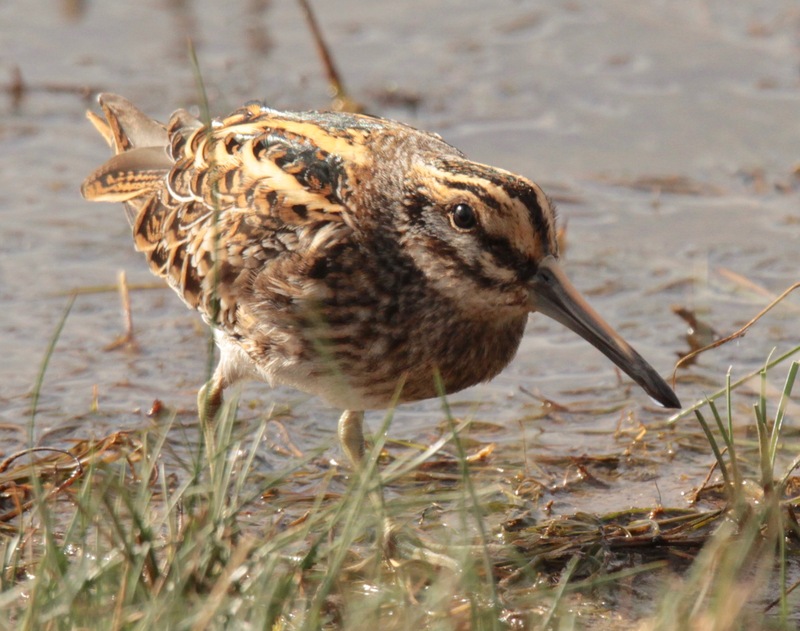 This entry was posted in Local wildlife, Wetlands and tagged Jack Snipe by pennyphilcox. Bookmark the permalink.